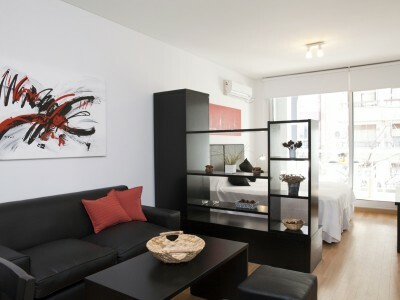 Nice studio apartment conveniently located in Palermo, it is next to the Zoo and the unique Bosques de Palermo. 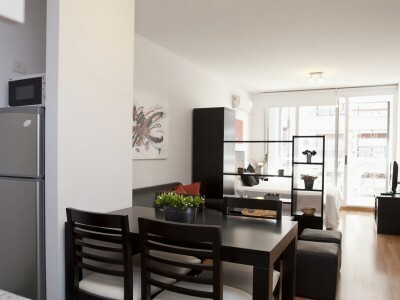 Only one block from Cerviño Boulevard, in an area full of trees, trendy cafés, hip bars and posh restaurants. 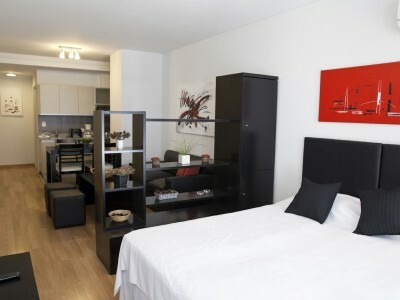 A few blocks away from a shopping zone and not far from the Paseo Alcorta Shopping Mall. Really convenient and practical location. Libertador Ave. is a scapeway that goes south and north of the city. Buses in all directions have stops on Las Heras Ave. 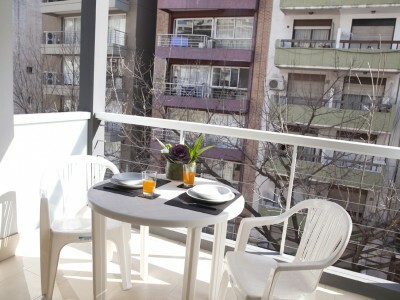 Furthermore, Palermo SoHo/Hollywood, Belgrano and Las Cañitas are just minutes away by foot or taxi while a nearby subway can take you throughout Buenos Aires and surrounding areas. This apartment is on the fifth floor and has a beautiful balcony with huge windows that offer plenty of light to the whole property. 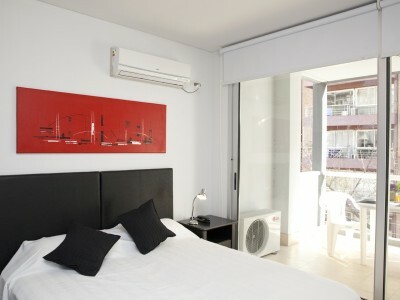 It offers all the comforts of home with Wi-Fi internet, LCD TV, air conditioning. The building features a roft-top swimming pool and wooden deck. - LIVING ROOM AREA: decorated with white walls, sofa, coffee-table, a bookshelf that separates the living area from the sleeping area. - SLEEPING AREA: King size bed (1,80x2,00) or two twin size beds. 32” LCD TV. Closet. Air-conditioning (cold/hot). Access to the balcony. - BALCONY: facing the street. Coffee table with chairs. 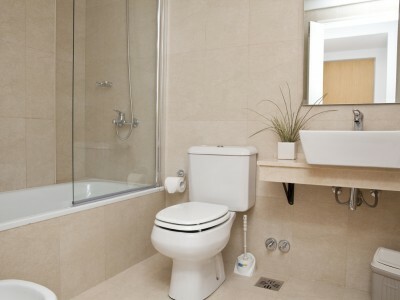 - BATHROOM: Modern style with bathtub and shower. Toilet with Bidet. Hairdryer. - KITCHEN: integrated into the living area, equipped with oven, four burners, refrigerator, microwave, electric coffee maker, toaster, tableware, glasses, and cooking utensils. It also has a wooden table with four chairs. 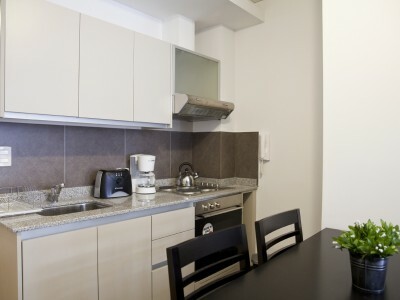 If you are visiting Buenos Aires with family or friends we have more apartments located within the same building. These rates are final in USD; they include: building expenses, local phone calls (control line for limited local calls), cable TV, electricity, water, internet access and taxes.